Abstract: This paper examines the way papal rhetoric made use of the image and reputation of the city of Constantinople in order to legitimise and incite support for its crusading calls for the defence of the Latin empire after 1204. A number of relevant themes that refl ect the city’s temporal and religious importance are explored, such as its wealth, its relics, its imperial past and its patriarchal status as New Rome. The differences of emphasis and occasional omissions of such arguments provide insights as to what was expected to motivate the audience, while also revealing the papacy’s priorities. These contradictory statements highlight the great ambivalence that western Europeans seem to have felt towards the city of Constantinople throughout the twelfth century. It was admired as a depository of relics and the site of magnificent buildings; yet it was also regarded with contempt as the home of deceitful Greeks who impeded the defence of the Holy Land. 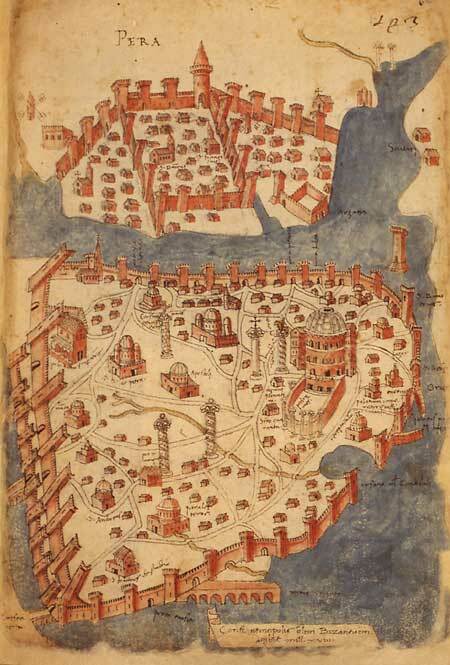 From 1204, however, Constantinople was actually in Latin hands. Its conquest was the outcome of a diverted crusade; the preservation of this conquest became, in turn, the aim of a series of other crusading expeditions. After some initial hesitation, the papacy decided to support the Latin states that were set up in Greek lands after 1204 by employing the most potent means at its disposal, the crusade.